Today's topic asks us to elaborate on something we made this year. This will be easy for me because, outside of a couple of awesome children (as of now, at least!) I don't make very much. It seems somewhat depressing to express and share but not really as my awesomeness takes other forms. Upon further reflection, I do manufacture stories and ideas. However, I've not been compelled to take very many of them to the next level and actually push them into the public sphere because a.) I don't currently have the time to refine them and b.) I'm still a little self-conscious. Though that might change in the coming year. If certain things come to fruition, a little infographic project I've been mulling over might see the light of day. Plus, I've got FridaysWithTheFords.com which is something that, with the help of a friend, became a real thing this year. I suppose I make things at work, at least I help make them. When you work in a large web development environment, you don't get to make anything end to end. Not to get all Marxist on you, but ol' Karl did write about the caveats around the specialization of labor in that the more prevalent it becomes, the more detached a worker is with the end of product. That's not to say that I don't like my role as a User Experience Evangelist at work. I really do enjoy it because it is the real deal that shows results and I am very well suited for the role. Ok, my official title does not include the word evangelist in it, but it should and it would be cool if it did. With all that being said, I don't want to talk about work here. This is about me and my life, not some adventures financial services land. 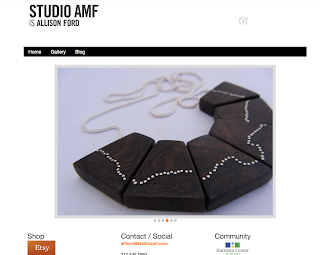 Wow, this is a long winded intro to finally tell you that in 2012, I made studioAMF.com for my wife. Regarding the process by which this site came to be, I first had to choose a framework on which to build the site. Hey, did I mention that unless you're in to this sort of thing, this post is going to be like watching paint dry? Anyway, I wanted to try something new as far as content management systems were concerned. I've used Wordpress before and it's got some endearing qualities. 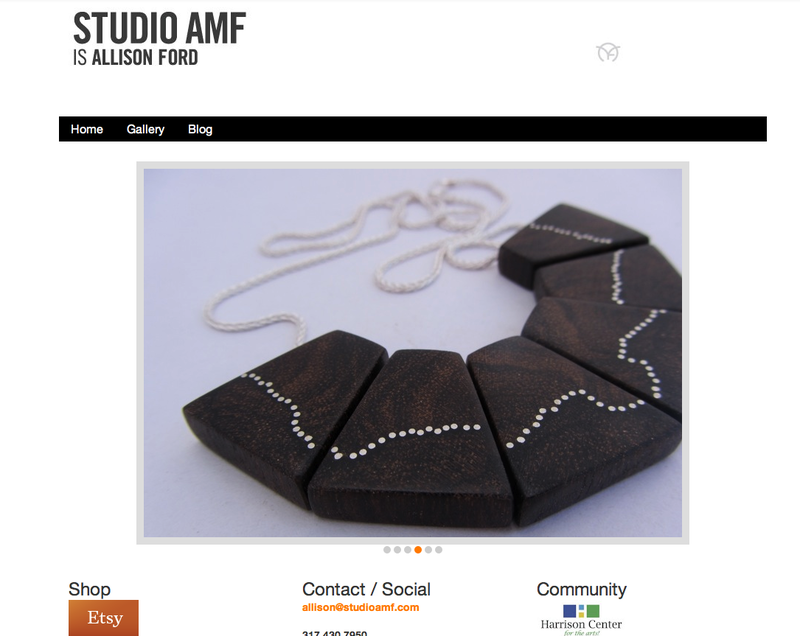 However, the site was to be content heavy and because I wanted something different, I chose Drupal as my CMS of choice. Since I've never worked with it before and at the suggestion of a friend I hosted the site on Drupal Gardens. It was a wise choice. My philosophy at work, when it comes to web design, is to keep it sleek, elegant, and simple. If there's an opportunity to not say something, don't say it (my blogging excluded, of course!). If there's no need for a border, don't use one. This approach was applied to this site as well. In addition to contact information, the goal of the site was to showcase portions of her work and the pictures should stand out. I incorporated elements of my wife's existing brand into the site. I've got to give a tip of the hat to our talented friend and local super star, Amy McAdams Gonzales. Her brand development work is top notch and you should seek her out. There are things I still want to work on, including some URL re-directing tweaks, some spacing issues in the gallery, too many clicks to get to the cool gallery lightbox slider, and figuring out how to present the 'recent updates' section on the homepage a little cooler. But hey, that's what iterative web design is all about.